The Annual Fund provides necessary dollars, outside of tuition, to support Rocky Mount Academy students and programs, every day of the year. Contributions to the Annual Fund are directed to the school's highest priorities. We strive for success in annual giving by asking all of our RMA constituents — current families, alumni, faculty and staff, grandparents, parents of alumni, and friends - to participate. The strength of the Annual Fund is dependent on broad participation by every member of the community. To contribute, or if you have questions, please contact Katherine Bryant, Director of Development at (252) 443-4126.
Who is solicited and participates in the Annual Giving Campaign? Support for Rocky Mount Academy comes from many sources – parents, alumni, faculty, grandparents, friends, and businesses. The campaign starts in August with appeals and personal solicitations by staff and volunteers occurring throughout the year. Your support is welcome at anytime; however, the best time to make a gift is earlier in the academic year, which runs from July 1 – June 30. You can pledge an amount today and fulfill it by June 30, the end of our fiscal year. It’s very important that all pledges are fulfilled within the fiscal year made. Once you have made your annual gift or pledge, you will not be personally solicited until the next year. Secure online gift online by clicking here. We ask our community members to support the campaign to the best of their ability. Only you can determine the size of your gift according to your charitable interests and financial capacity. In the past, gifts have ranged from $10 to over $40,000. Regardless of the amount, all gifts are important, and we stress participation by everyone at any level. What is exactly counted in RMA's Annual Giving Campaign? Any gift that comes through the Advancement Office is recognized. These gifts can be unrestricted, restricted, or in-kind. Other fundraisers that are very important but not counted as part of Annual Giving would be: PO programs; Booster Club Eagle Pass; Auction donations and purchases; Yearbook ads, and student club or class fundraisers. Why does Rocky Mount Academy need an Annual Fund? RMA’s Annual Fund supports our greatest priorities, our faculty, and students. The Annual Fund plays a key role in closing the gap between tuition revenue and the actual cost of an RMA education. 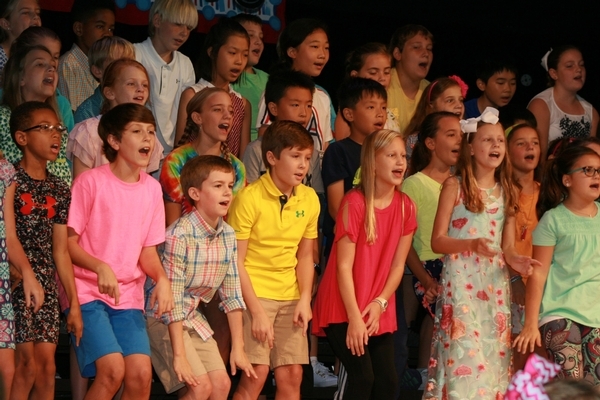 Every aspect of the school is touched by Annual Fund dollars, including academics, performing arts, athletics, community service, financial aid, the library, technology, faculty development and salaries and campus maintenance. The Board of Trustees and the Administration set the Annual Fund as its top fundraising priority because of the critical role it plays in supporting the day-to-day operations. Most gifts received are unrestricted (Annual Fund), and it is then directed where the need is greatest. Donors may designate their gift to a specific program or area within RMA.